Providing state of the art LED Starlit Dance Floor hire for weddings and events throughout Cork and Munster. Choose from our range of premier black or white LED twinkle dance floors, ideal for Corporate Events, Weddings, Parties, Promotions, Exhibitions, Debs Balls, Civil Ceremonies, Fashion Shows, and any other event. 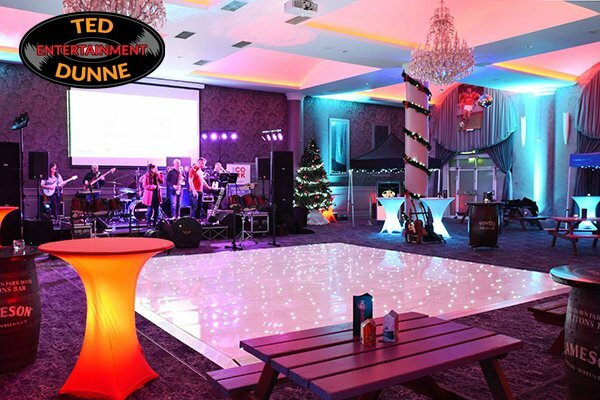 If you are looking for the very best fairy light and starlight dance floors available in Cork, we are your number one choice. Our dance floors are sure to make magical moments happen for you and all of the guests at all types of events. Enhance your event or party and add a touch of elegance with a Black or White sparkle Dance Floor. We provide superior quality floors for rent, each with a polished gloss finish and top of the range LED dance floor technology. With every dance floor professionally cleaned after each use, and serviced on a regular basis, you and your guests are guaranteed to be amazed by the stunning twinkle starlit effect, and how much they add to your event. Your dance floor can be the single largest and most central focal point of your event. So why not enhance where the most important pictures are often taken, the greatest joys are shared, and some of the most memorable moments are created. Add that stunning wow factor to your event with a Black or White LED Dance Floor. We also supply LED floors for Fashion Show runways, illuminating the catwalk and helping to create an unforgettable and stylish event. To check availability and fees for an LED Dance Floor for your wedding or event, simply complete the form below, and we will be in touch with a custom quote within 24 hours.